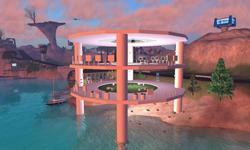 Re-visit some of the earliest and historically-significant locations and landmarks in Second Life. Want to learn more about the Mainland community of Bay City? Get in deep and visit this display covering the city's history and featuring artifacts and images spanning it's existence from 2008 to today! Meauxle Bureaux is the home of the Linden Department of Public Works, a program focused on improvements related to the experience of living in and visiting the Linden Mainland. This intricate build was lovingly crafted by resident experts for all to enjoy, so come see the ultimate in shared creative spaces! 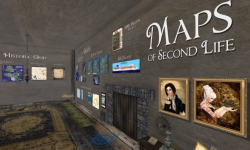 The exhibit "Maps of Second Life", curated by Professor Juliana Lethdetter, shows information and art on virtual cartography in Second Life. 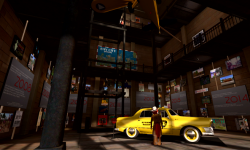 Learn about the origins of Second Life and see displays of historical artifacts, images, and notecards that have been instrumental in shaping SL. Wear a free, fully-customizable avatar of our Primitar "ancestors" and relive magic from the early days. 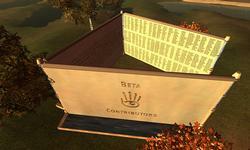 Second Life continues to grow thanks to its Residents, and this monument recognizes the early "beta pioneers" who helped make the baby steps possible and pushed SL into the public eye (in hand — get it?). Head north to find a public sandbox that's still used to create content, and farther north to check out what an old Welcome Area used to look like. 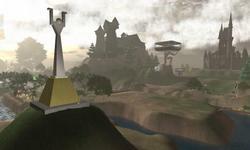 "The Man" statue is one of the only surviving objects from the original "Linden Town" area that was developed in Second Life during the earliest Alpha stage of its development. At times, The Man has served as a shrine where miscellaneous offerings were left, and a celebration of the creativity SL was founded upon. Home to the mythical Governor who's as elusive as Bigfoot, this Second Life heritage home hasn't changed much since its inception in 2002. 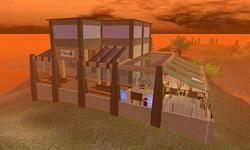 It remains one of the few preserved examples of what inworld architecture was like back in the day. Come visit and find out how early pioneers survived before sculpted prims, then stroll to the basement for a time capsule of vintage goods. 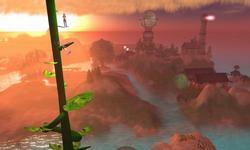 One of the oldest objects in SL is a beanstalk, created by Steller Sunshine in 2003. An influential model of organic shapes in a whimsical style, Steller used to hold contests challenging Residents to jump from leaf to leaf — can you make it to the top? These cuddly behemoths have welcomed travelers from all walks of Second Life to old Stillman, whether they were flying as avatars or arriving via zeppelin tours. 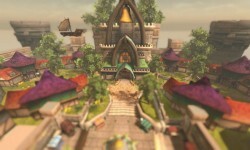 Behind the bears, you can tour the legendary Ivory Tower of Primitives, where many generations of Residents have learned to build, and the freebie Bazaar and The Man statue are also worth sightseeing. 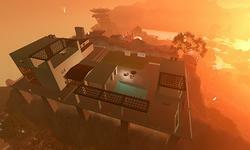 This island has seen many significant events, from its time as a welcoming spot for teen Residents "graduating" to adulthood to the hills used in Linden Lab ad promos for the then-new WindLight graphics. An abandoned library-turned-coffee shop is at the heart of it all, reminding us of how virtual connections can transform into real-life friendships.